We hired a new artist for our upcoming Bomb Dodge game. For the first four months of development we focused on gameplay, building tech, and interactive menus. 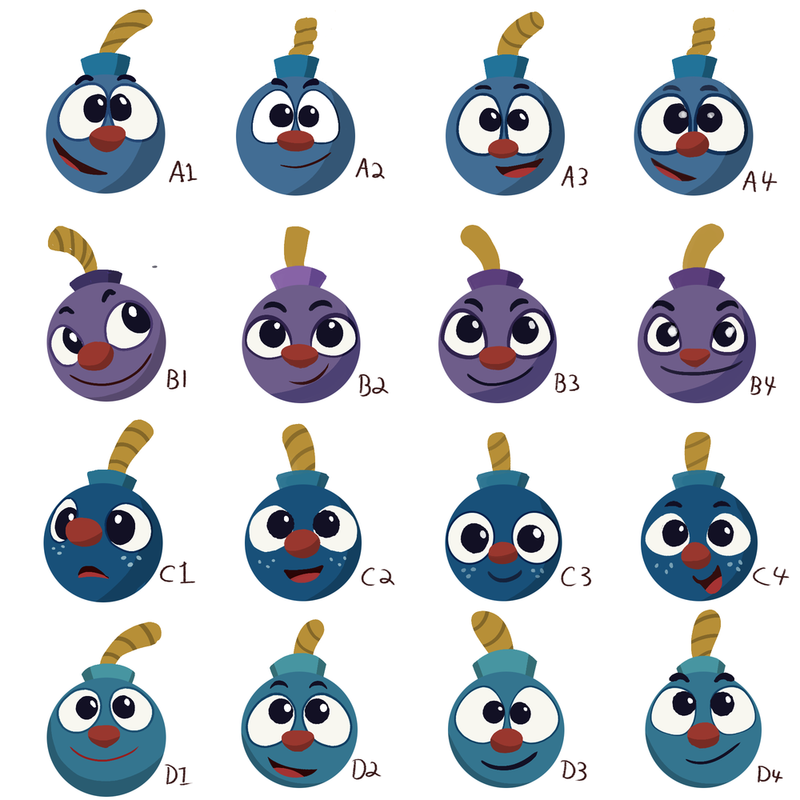 For the longest time we used programmer art and a character that Andy Brown designed/animated. The initial main character design was better than our original artwork, but we needed more art than Andy had time to make. To polish the game, we decided that we needed to unify the art style and hire an artist to create our vision. We searched for artists in November 2013 on Elance.com and oDesk.com. It took a lot of time, emails, and artwork critiques until we finalized our artist. Here's one of the job posting descriptions that we used. Human? Post answer to equation at top of response: 4000 x 2317 = ? About: Bomb Dodge is a multi-touch gesture based game where you are trying to avoid explosions and fireballs. The main character is a bomb, and is dangerously explosive. The game is about survival, points, and features in-app purchases. Art: I need quotes on completing artwork listed in the PDF document. Here's the priority of work. Style: Cartoonish and simple. No fancy 3d graphics. The menus float above the game in the background. I had 25 applicants on Odesk and 33 from Elance to sort through. It was a lot, but there were ways to quickly eliminate many of the applicants. We had a math equation, and if someone didn't answer it, they were removed from the potential list (One of our top artists missed the math equation, was rejected, and re-submitted a proposal with the answer). I removed anyone who's didn't have a nice looking portfolio. I removed anyone who didn't have a good website/youtube/vimeo. Some artists had artwork that was decent, but not excellent. They were removed. Others would have unpolished or amateur work on their portfolio site. We skipped them, since attention to detail is really important to us. To pick our final artist we did a Skype interview with 4 artists and then sent test projects to 3 of the artists (One backed out due to other commitments). I don't believe in free work, so the projects were paid (1-2 hours) at the artist's hourly rate. We spent $164.99 on the test art projects. 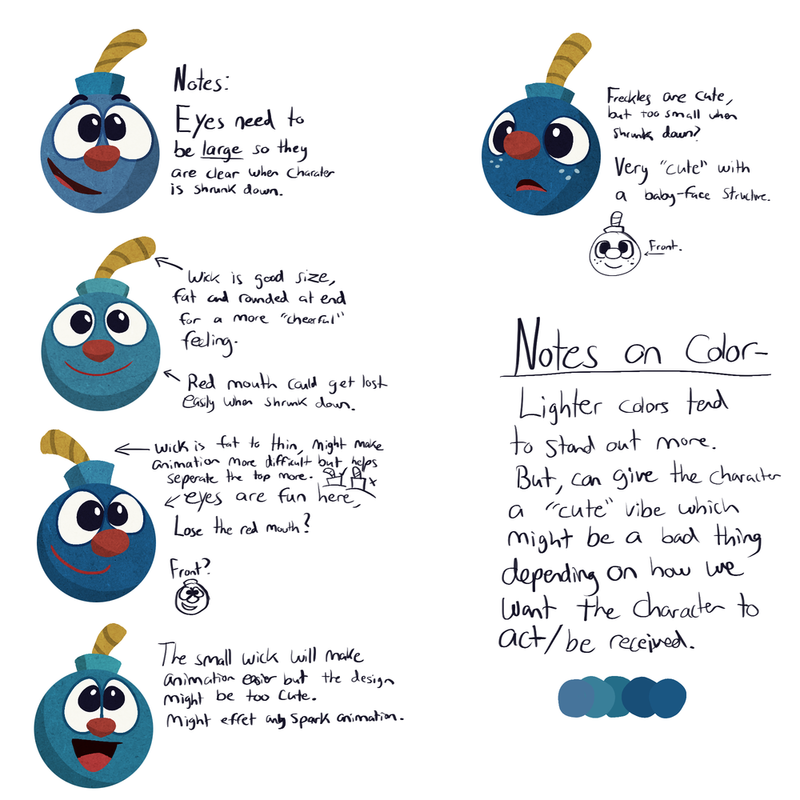 The test was to design the main character or game theme. Our target cost was between $500 - $1,000 on art. We had two questions that we wanted to be answered. Can we communicate? i.e. do we enjoy talking with the artist, and is it easy to express ideas. How does the artist's style apply to the game? A polished portfolio needs to be tested to our game concepts. At the end of the tests, we had the following designs from three artists. Each artist had a different style, which was in line with what we were looking for. A third requirement grew from seeing the animations and playing the game with Andy's animations. Clearly, we couldn't pick an artist from 2D portfolio work, and we needed to compare animation skills. Artists 1 and 2 had very strong animation skills, so now we had to decide between two very different art styles. After a lot of discussion we hired Andrea Dailey (#1 Art Test above). She had a strong portfolio, but what really sold our team, was the emotions and ideas that she brought to the project. Andrea had the ability to capture my imagination with her character style and her ability to animate motion, weight, and emotion. The kicker was that she presented new ideas for style that we didn't think about. As a creative person, I love to brainstorm and bounce ideas around. 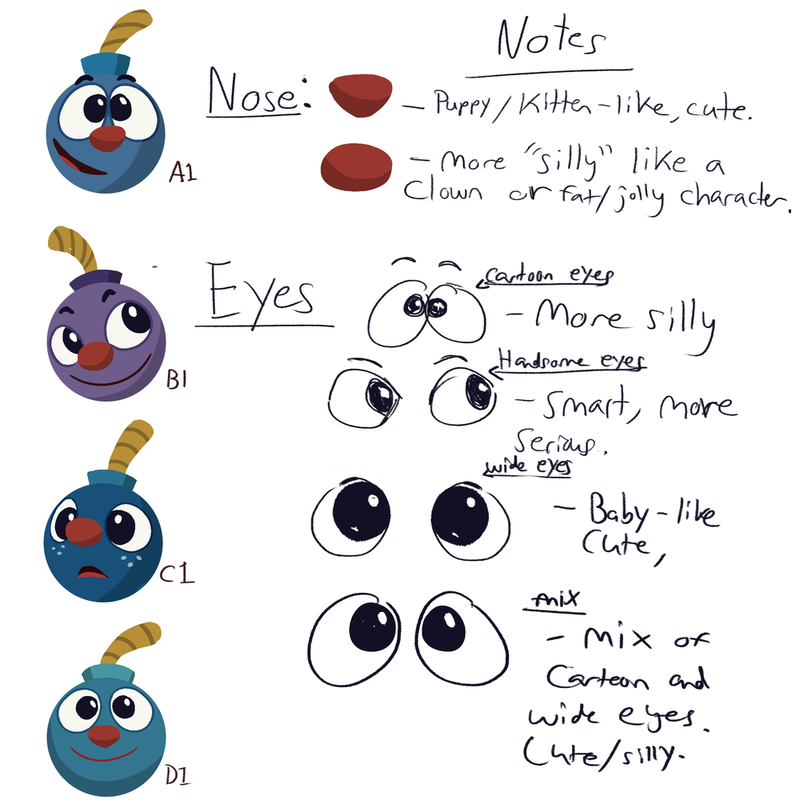 I enjoy learning from other people and she educated our team on character design (chunky characters are more friendly). 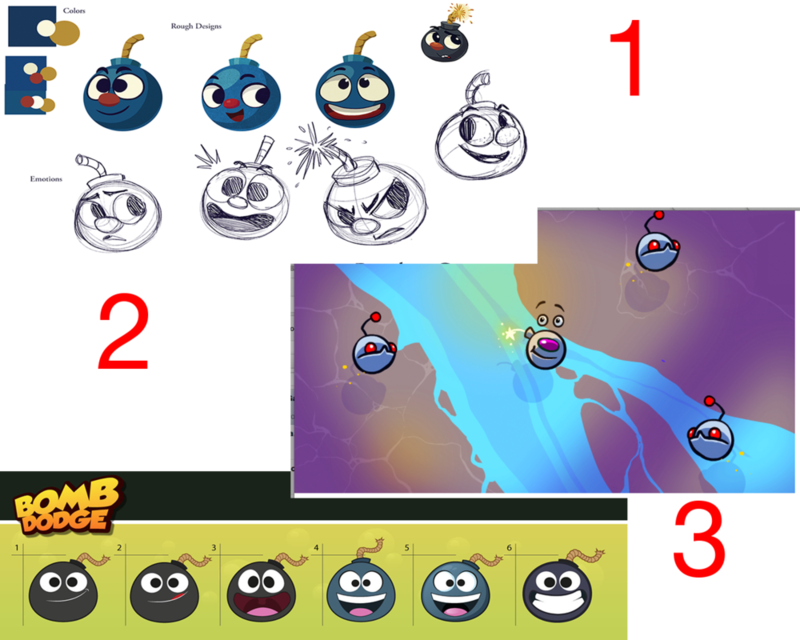 After the initial test job we began to pick a style for Bomb Dodge. Andrea suggested a paper-esque look from Brittney Lee. It was fun, colorful and appealing. 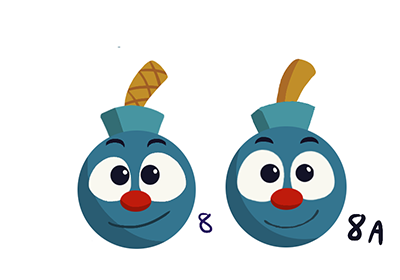 I don't want the game to look like Angry Birds or Cut the Rope, so the depth from the paper texture combined with color is one way to stand out. 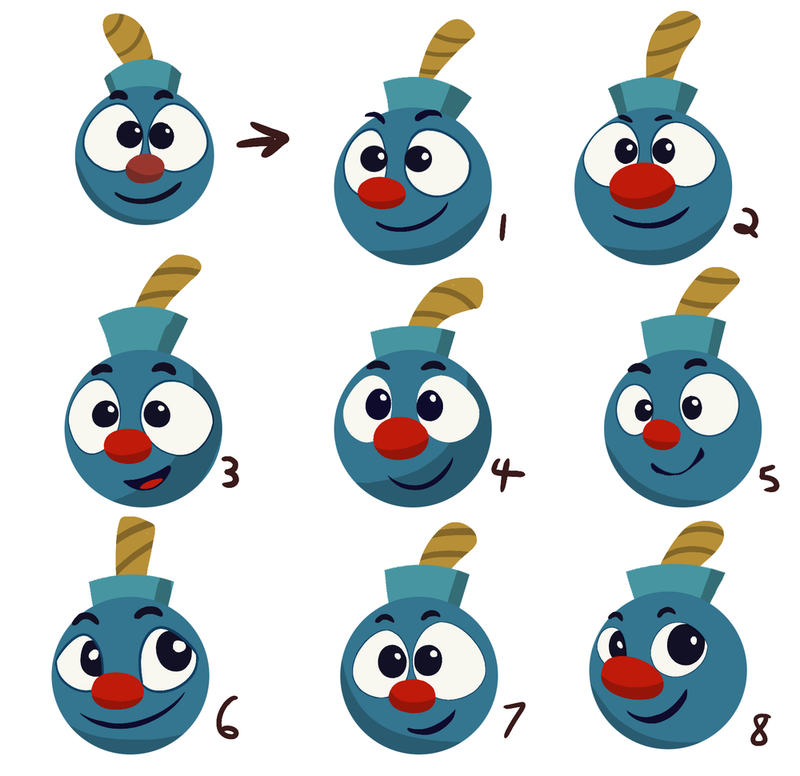 Here's a progression of our current Bombee (main character) as it has evolved. The design isn't final yet, but we're getting close. One of the enemies in the game is a bomb that's trying to make our main character to explode. We wanted this character to be a little evil looking. Here's a series of concepts to final design. With new art, we gave our Bomb Dodge game the much needed facelift. Checkout the new art in the gameplay video below. Character animations are in the works, as well as updates to the background and UI. Signup for our mailing list, and learn about our new game when it launches. Posted on December 18, 2013 by Paul Solt and filed under iPhone, game and tagged artwork gameplay.